The challenge is being hosted in association with Invest India. The top 5 winners would receive a cash prize worth $250,000 (roughly Rs. 1.8 crores). The selected 10 ideas would participate at the live pitch day during the grand finale and the top 5 would be awarded grants worth $250,000 (roughly Rs 1.8 crores). Invest India is a 'not for profit' entity established under the Department for Promotion of Industry and Internal Trade, Ministry of Commerce and Industry in 2009. Q. 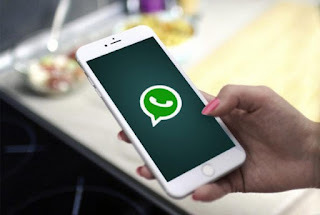 Which social media giant owned messaging app 'WhatsApp' has announced "Startup India-WhatsApp Grand Challenge" to encourage entrepreneurs and small businesses in India?